Bragi created the first ever hearable to hit the market. Their successful Kickstarter campaign raised $260,000 in two days and $3.4 million after two months. Bragi remains as one of the top 20 campaigns on Kickstarter and the 6th largest design campaign of all time. Starkey Hearing Technologies decided to partner with Bragi because of their shared values. The companies are both interested in connecting people to people. This is more than just business, it’s a true partnership. 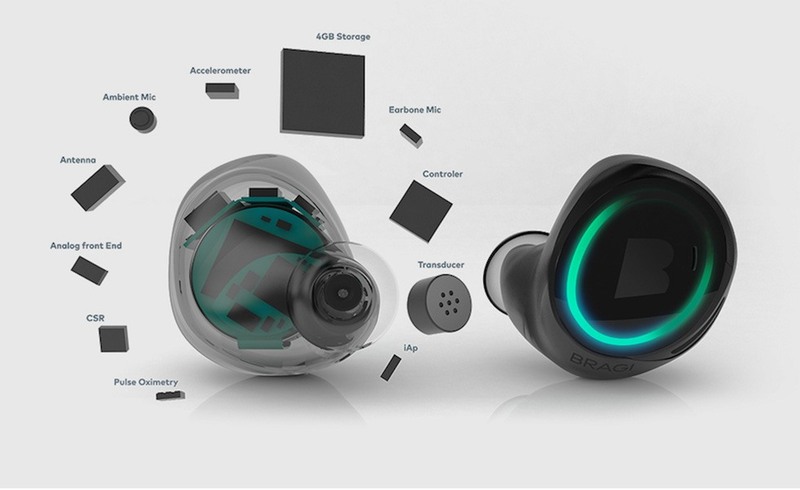 Bragi and Starkey are co-launching a new product, The Dash Pro tailored by Starkey Hearing Technologies. This new product will feature best-in-class Bluetooth performance, improved audio quality and a Tailored Fit. Exciting new features will also be available with Bragi OS 3.0 updates. In tandem with this release, Bragi will also launch their standard version of this product, The Dash Pro. Starkey Hearing Technologies is excited to partner with Bragi to co-launch The Dash Pro tailored by Starkey Hearing Technologies — a wireless earphone fit and tailored for consumers. Featuring a custom shell and enhanced sound, this tailored version of the Dash Pro is only available for Starkey Hearing Technologies hearing care professionals. To ensure that they fit perfectly, professionals will take custom impressions. After the impressions are sent to Starkey Hearing Technologies, they are scanned electronically to create 3-D printed shells and then merged with Bragi’s EarTouch interface.